Working with an established behavioural psychologist, Avery UK tested consumer response to product and shipping label designs to reveal how certain elements can encourage positive reactions to the items they are attached to. The study explored important aspects for anyone selling goods either online or face to face. It considered how various label designs affected how much someone was willing to pay; how they made people feel towards a company and how likely test subjects were to make a repeat purchase. And finally, three online experiments were conducted testing 1,108 British adults to examine the more cerebral and behavioural aspects of labels. There were two sides to the research: one centred on product labelling and the other featured mailing and shipping labels. It may sound obvious but if a label can grab customer attention above all the competition then you’ve won half the battle. The Avery UK eye-tracking experiments confirmed that bright colours and large labels help your potential consumer stop and look; while bold lines, borders and stripes mean that your label could be viewed 42% more than plainer labels nearby. Did you know that in human decision-making, emotion trumps reason? We may not want to admit it but we tend to buy with our hearts and then justify our decision with our heads. Humans are hardwired to notice emotion and the use of an emotive word like ‘love’ or ‘pride’ or adding an emotive image such as a heart or happy face are simple but effective ways to increase consumer engagement, association and ultimate investment. In the study, an emotive image made people spend 13% longer looking at the product and adding an emotive word like ‘enjoy’, encouraged participants to look at a label for 10% longer. There is a sudden spike in brain activity when we encounter something that needs to be ‘worked out’. Adding a label with a special message like ‘Just for you’ or ‘What’s inside?’ to encourage curiosity, can really increase response rates. When we tested a label that evoked curiosity it increased purchase intentions by 43% and the potential for word-of-mouth recommendation by a significant 103%. A very clear and intriguing finding in the study was that the use of multiple labels when shipping items increased positive emotions in the recipient and led to a higher likelihood of customer loyalty and repeat purchase. 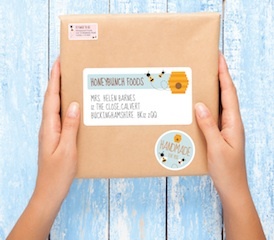 In fact, using multiple labels on a shipping package could increase brand love by as much as 129%, perception of quality by 116%, purchase intent by 113% and word of mouth recommendation by 135%. Retailers are missing a trick if they only use one plain address label. It turns out that a package can evoke positive feeling toward a brand just by adding a few extra carefully designed labels. 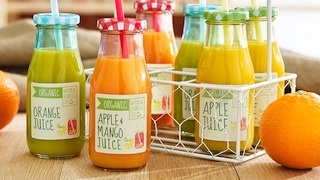 The special message label, in particular, will help attract attention and can influence future purchase behaviour. Examples of this include adding labels that say things like ‘Open me’, ‘See what’s inside’, ‘Handmade with love’ or ‘Just for you’. Meanwhile, personalising your messages will make your customer feel even more special. When a mailing envelope in our study included the participant’s name, they spent 11% longer looking at it than average and were 10% likelier to look at it first. The full report includes example labels featuring design elements that performed well in the psychological study. 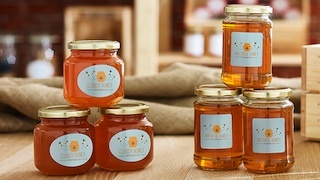 Avery UK has dissected each design to demonstrate what makes them so effective and persuasive and to give retailers inspiration for their own labelling.